The hotly anticipated Windows Mobile phone, the HTC Hermes, gets its specs finalized—no more guesstimating. The processor is a speedy 400MHz, and the phone has 128MB of RAM with 128MB of internal memory for storage. Bluetooth, WiFi, 2.0 megapixel camera and QWERTY keypad are still there. 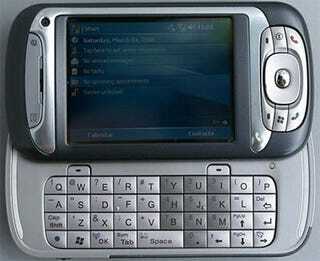 The HTC Breeze, on the other hand, is a candybar style phone with 2.2-inch QVGA screen and microSD slot. It's got miniUSB, Bluetooth, IR, 128MB of RAM and 64MB of internal memory. Check out the link for loads of pictures.